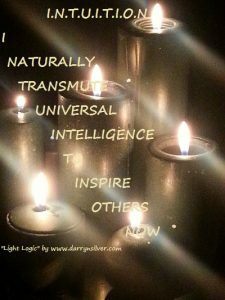 March 2017 LIGHT LOGIC TIP # 14 W.I.N.N.E.R.S. 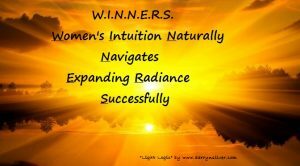 Women’s Intuition Naturally Navigates Expanding Radiance Successfully. Although men are intuitive beings also, this was a group of all women. When we connect with that part of ourselves and consistently acknowledge and recognize its presence, we feel SUCCESSFUL! Confidence ensues as a natural extension of that which we already are: PULLLE Pure Unconditional Luminous Loving Light Energy. Clearly, when we have already built a skillset, it’s second nature. We hold more confidence in our ability because we have nurtured that skill until it is innate. It’s a habit and we do not give it much thought. 1. See, feel or experience a pull or calling for something we want to explore (either inner desire or witnessing it others or the world). This is the passion piece. The part where we feel excited about our adventure unless we have been taught to temper our passions. Then the signs might feel a bit subtle but they remain vital to our essence. 2. Learn through creative guidance or concrete direction, demonstration or imitation. Children are experts! They do it without a care in the world. One day I was watching children slide down a slide on the playground, the speed was unexpected and they all plopped right down on their behinds. They all seemed to pause, looked a bit stunned…stood up, brushed off the seat of their pants and proceeded to climb up the ladder to do it all again. CHILDREN PRACTICE THEIR DESIRES THROUGH PLAY! Practice & repetition duplicates the habits we wish to perpetuate. CHILDREN ARE SO WISE!!!! Anything new that we are exploring is like a habit in its infancy yet to be programmed into us. It is just that now we are doing our own programming. Well, very susceptible mainly because they have been with you for decades and decades. It’s like learning to tie your shoe when you are a child or learning to ride a bike. Even if you do not do it for a while, you still have an automatic pilot that knows how to do it. It is like a default gear. It’s the same thing when you cannot recall a friend’s phone number but when you look at the phone, your finger knows which keys to press. Your body has held a memory and knows how to proceed. All of our physical experiences start with the process of what messages we tell ourselves. You get the idea. The list goes on and on. 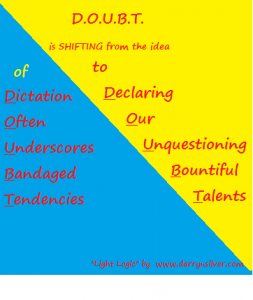 Which statements do we want to discard and what messages do we want to infuse? If you were programming yourself as a small child, what messages would you implant in your own mind? It takes a bit of practice with mindfulness to make life affirming suggestions that will change your entire experience of yourself and others. 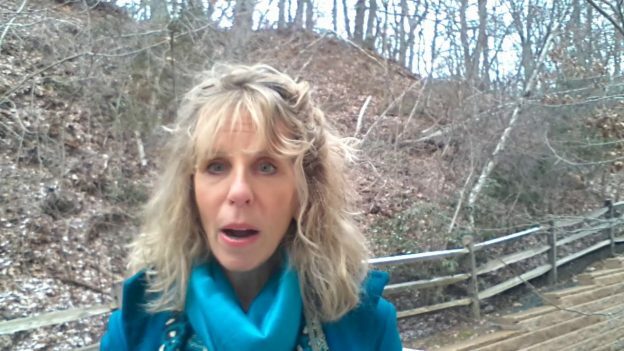 Even when I left Wall Street decades ago and became a therapist, I had clients that were quite influential, wealthy and successful by societal standards that were challenged with their self image. Comparing your insides with someone else’s outsides will wreak havoc on your psyche so don’t do it. People are people wherever you go and we all have a tape running in our minds. Who knew that it is a viable option or a practicable choice to change our internal dialogue. That we are our point of power and we can implement that power to shift how we live our lives!! Make a list of the thoughts that no longer serve you on a piece of paper. You know, the ones you would never dream of saying to a friend. Pick one that is the most predominant in your mind and write the exact opposite of the thought next to it. Highlight the uplifting thought and carry it around with you. Catch yourself as many times as you can and notice how you and your body feels over time with the old programming and the new programming. You are choosing what you want to put into your own psyche. When you feel as though that one is automatic, pick another thought and repeat the process. computers but I have to. will be only one piece of my new profession. hire someone to handle that piece for me. As you practice these exercises for yourself, you will notice your sensitivity increasing. This will enable you to perceive what is going on below the surface with others through the lens of empathy and love more readily. Naturally, we want to be really suggestible to the things that will uplift us and turn down the dial of internal messages that compromise what we aim to create. Do I enjoy this activity? It helps A LOT if you do because the passion will override any strain. If not, but you are feeling like it is an integral piece to your pursuit, find a way to soften your perception around the skill building activity. Soothe yourself as much as you can and know that nothing is forever. Each time you take an action to learn, you are chipping away at your unknowing. It is like a block of clay where you are removing the excess material and a magnificent statue appears. It was there all the time. Look 2, 3, 5 years out and imagine the possibilities . You are creating a pathway through your willingness to learn new things. You are changing which means your pathway is changing. Take comfort in the fact that you are learning, growing and discovering parts of yourself that will lead you back home. Back home is the place that resides within you where you experience the peace, love, joy, freedom, confidence and holds a sense of steady knowingness. a pendulum swinging BACK AND FORTH from side to side. 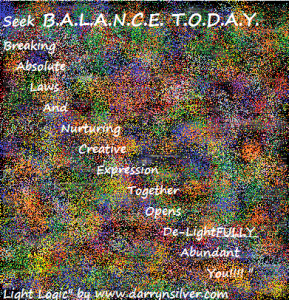 It goes back and forth because you are finding a new level of equilibrium or BALANCE TODAY. When you are shifting, it may feel uncomfortable because you are dissolving old ideas. It’s like saying good bye to an old friend whom you love but have outgrown. You are beckoning your creative juices to appear and when they come to you in a moment of inspiration, it is an absolute De-Light. That moment in time is meant to be savored, enjoyed and celebrated with taking an action. 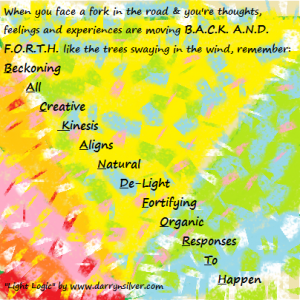 It will fortify or ground into your experience the reality, lifestyle or happening you desire. Undoubtedly, that moment will pass and you will feel its absence. You may feel emotions quite to the contrary. No worries. The pendulum will return but its swings will be more gentle the more you pay attention. “How do I acquire remuneration for the service or product I am providing? It is imperative to recognize if you have any doubts because that will flow through you and other people pick up on your subliminal cues. In my experience of witnessing so many kinds of people, each individual tends to be the last to recognize their own brilliance. Personally, I have discovered that my time with DOUBT provides me with the space to gain clarity on what “I” truly desire. It’s like sitting on a fence. One leg on one side and the other leg on the other side. The right leg represents the new green pastures and the left leg represents all of the experiences that led me to this precipice of change. This period of time, no matter how long it takes, is invaluable because it allows you to reflect and determine what it is that YOU want. It allows you to separate from outside influences such as family, friends, external world or societal expectations. This fosters living from the inside out! It massages the nuances of being on the precipice of change and knowing that you are embarking on a declaration of boundless talents. It has been my personal experience that when I have set a clear intention, known exactly what I wanted, put all my focus and energy behind it full force, my dreams manifested in a relatively small length of time and I enjoyed the feelings that accompany success. Light: Celebrate yourself in some small way each day. Look at the sun and know you are an extension of its Light. Look at the moon and know you are part of its enchanting glow. You are part of nature. Take the actions for the skill building. Go to workshops, learn online, practice in front of the mirror etc. 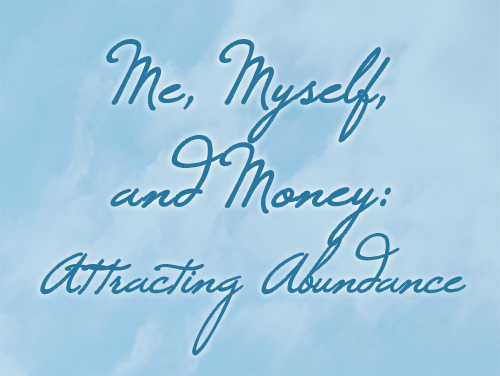 Down load my free audio affirmations. 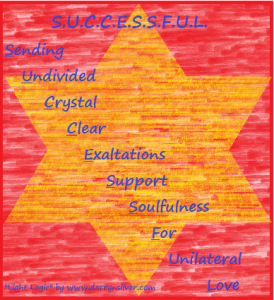 Purchase a personalized musical audio affirmation. Celebrate yourself after each action. This entry was posted in Blog on February 24, 2017 by darrynsilver.